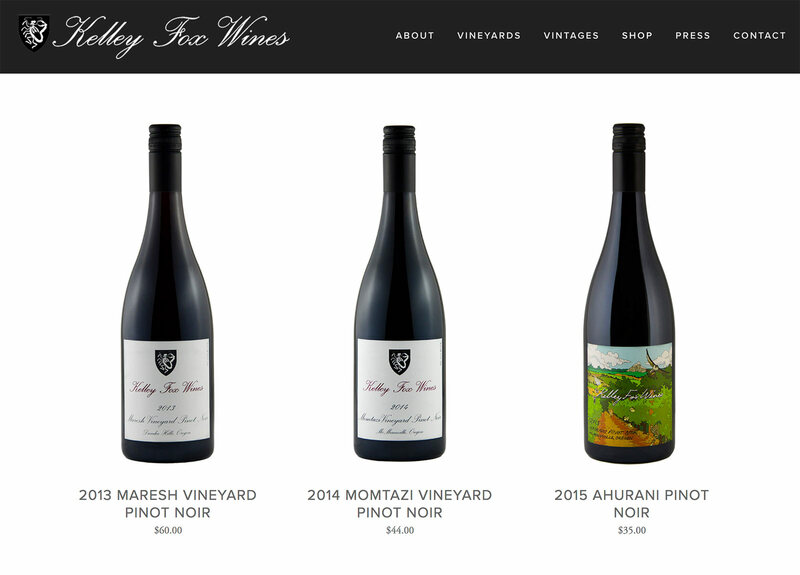 Kelley Fox Wines produces acclaimed pinot noir from Oregon’s Maresh and Momtazi Vineyards. 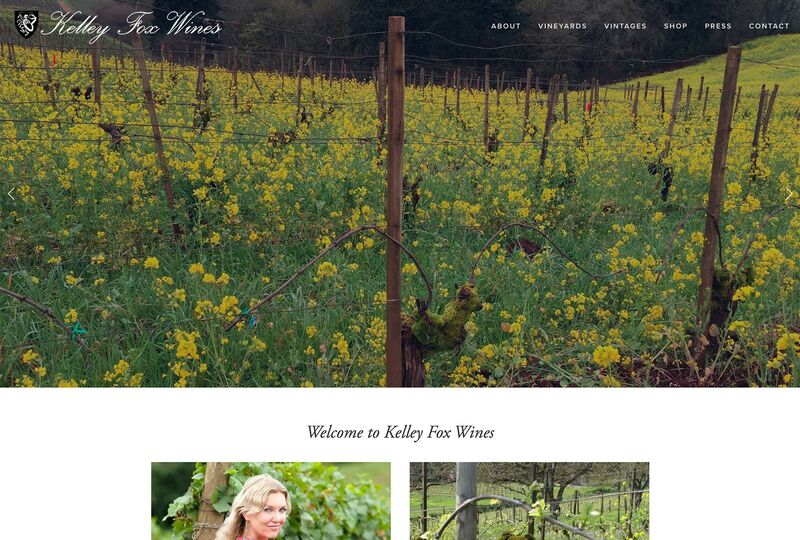 Kelley needed a simple, polished website that shows off some of the pictures she took in the vineyard over the years and provides an efficient ecommerce solution to sell her wine. We took bottle shots of all her current and upcoming releases and built them into a simple new online store (built on Squarespace). The site is clean and beautiful, and was assembled in a couple weeks time. Squarespace was the perfect platform for this winery as it provided a simple, beautiful canvas to easily tell the winery story and sell wines. “Brian has to be one of the most patient people I know to be able to work with me. It took me months of back and forth when we first discussed him redoing my winery web page before I was able to start the process to due my workload. But once I was ready to start it, I wanted the web page done as soon as possible- of course. He was able to quickly with almost no modification design my new web page to look infinitely better than my previous one: it is beautiful, clean, and highly usable. Brian saved me tremendous time and effort by asking all of the right questions in advance, including plenty of options for different types of example templates. I love that he is available for a reasonable hourly price to help me with changes, etc., that I have little time to do myself, though he sets everything up so that the client can easily make changes to the finished web page independently.